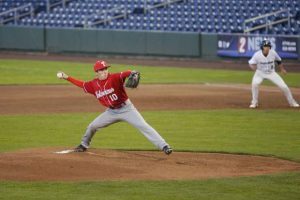 “It always starts with your senior leadership and they’ve done a really good job being leaders to the rest of the group, and I think the rest of the guys have really just bought in to the program,” said Coach Jeff Murphy. The Wolverines (17-9, 13-8 Northern League) conclude the regular season this weekend with a three-game series at Lowry (10-16, 9-12 Northern League). 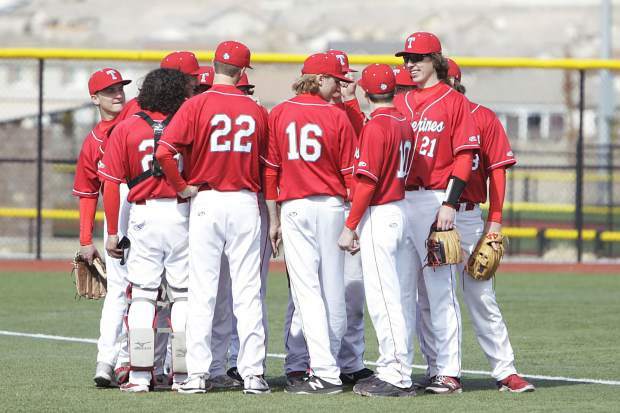 The Truckee baseball team stamped the program’s first ticket to the postseason since 2013 on Tuesday afternoon with a 19-2 shellacking of Sparks. 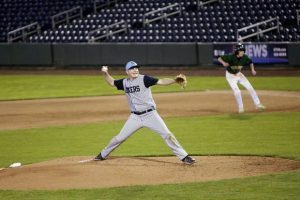 The Wolverines left little doubt in the game, blasting Railroaders pitching over three innings of play, including a 14-run second inning, to end the game via the 15-run mercy rule. Senior Joel Estabrook led the way for Truckee with three hits and three RBIs. Estabrook also had the squad’s only extra-base hit with a double in the first inning. Junior Jake Streit drove in a team-high four RBIs. Junior Spencer Edmondson, who leads Truckee with a .519 batting average and 30 RBIs, finished with a pair of hits. Junior Elliot Rost also finished the game with two hits. The Wolverines benefitted from seven walks and five errors by Sparks. The victory clinched Truckee’s first berth into the Class 3A Northern League regional tournament in five years, and marks the first appearance for Coach Jeff Murphy. The Wolverines have had a massive turnaround in Murphy’s fourth year, improving to 17 wins with three games remaining, from eight victories in 2017. The team has also won its most games since 2012. Part of the program’s resurgence has been due to Murphy’s growth as a coach over the seasons, according to the Truckee coach, but a major factor has been the addition of Assistant Coach Jason Estabrook. Estabrook coached Murphy at Truckee in the early 2000s, and then later moved away from the community. 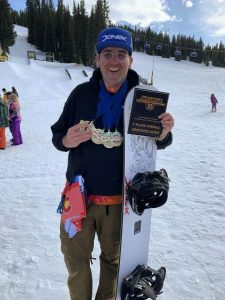 He returned last summer, bringing his standout sons, senior Joel Estabrook and sophomore Tyler Estabrook. Together the Estabrook brothers have helped lead an offensive resurgence in Truckee, with a combined 83 hits and 44 RBIs. Truckee has also been aided by junior outfielder, Conner Joyce, who transferred to the school from Iowa. As a team, the Wolverines batted .311 last year, finishing the season with 50 extra-base hits and no home runs. This year Truckee has improved to .389 from the plate, with 66 extra-base hits and five home runs. The team has also nearly doubled its run production, improving to 251 runs from 137 a year ago. 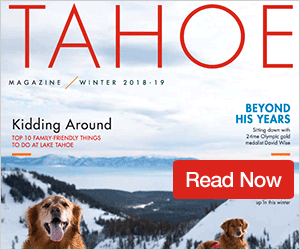 The seniors on Truckee are Murphy’s first to spend four years under the coach, and have each emerged as leaders on the relatively young squad. Estabrook has led the group with a .436 batting average. Colin Just is hitting .329 and has 27 RBIs thus far. Tyler Ferrera is batting .324 and has 16 RBIs, and Gary Grosjean is hitting .273. Grosjean has also been the team’s No. 1 pitcher this year, and is sitting at a 3.63 ERA with a team-high 27 strikeouts. Estabrook and Just have each thrown for more than 30 innings, and have combined for 38 strikeouts, thus far. The Wolverines (17-9, 13-8 Northern League) will conclude the regular season this weekend with a three-game series at Lowry (10-16, 9-12 Northern League). “We’re not really holding back at all,” said Murphy on the regular season finale. “We’re going to play just as hard as any other game this season. If we’re able to get three wins and we get a little help from a few other contests in the league, we have the potential to wrap up the season in a two seed, and get a first-round bye in the regional tournament. The Class 3A Northern League tournament is scheduled to begin Thursday, May 10 at Churchill County High School. The tournament will feature a six-team, double-elimination format.